← New Mosaic Workshops for Winter 2011! I recently completed a custom stove backsplash for a couple who LOVES birds. They requested something whimsical that incorporated some of their favorite wing-ed ones. I had a lot of fun creating this one and I hope it shows! I can create a mosaic for anywhere in your home or workplace, any size, just about any shape and with a variety of materials. I love using recycled stained glass and china and can incorporate pretty much any found objects and treasures that you may have. The possibilites are endless and the results are SO FUN! 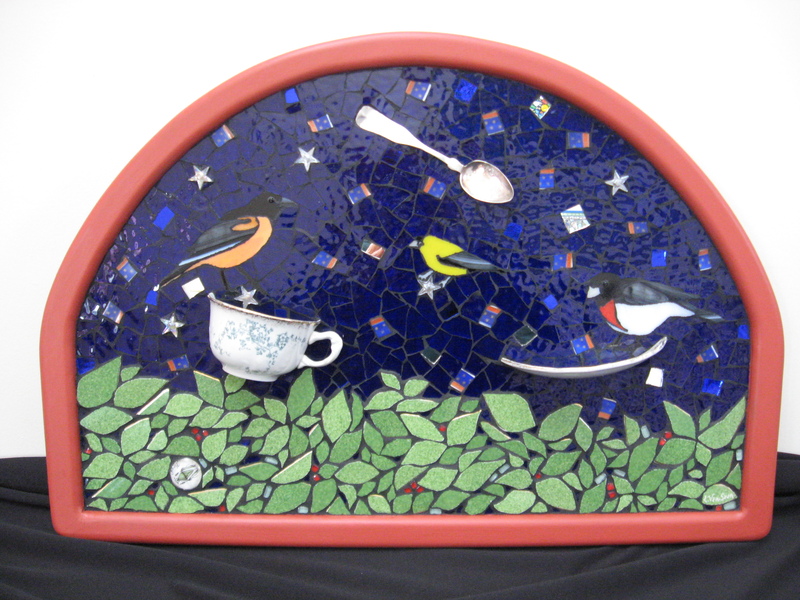 This entry was posted in Uncategorized and tagged backsplash, commission, custom, mosaic, recycled, stained glass. Bookmark the permalink.